GatorCreator Landing Zone (Beta) supports the use of embedded YouTube videos. Learn how to add your own in the article below. 1. Select the Media Block and drag on to a design box in your desired location. 2. YouTube Source - Paste in the YouTube URL of the desired video. 3. Show Suggested - This will allow YouTube to display other suggested videos based on the content you have been viewing. 4. Show Video Controls - This shows the video options that can be changed, such as volume control. 5. Privacy Mode - When you turn on privacy mode, YouTube won't store information about visitors on your website unless they play the video. 6. Show Title - This allows you to display the title of the video, within the embedded video. Please note the above functions are standard YouTube controls. 1. You are able to select the number of videos to display by editing the amount of columns. 2. You can adjust the column with either standard width or custom width. 3. You can select preset or custom colours for the Media Block background. 4. You can set background images for the Media Block (if the image is smaller than the Media Block, the image will be titled). 5. 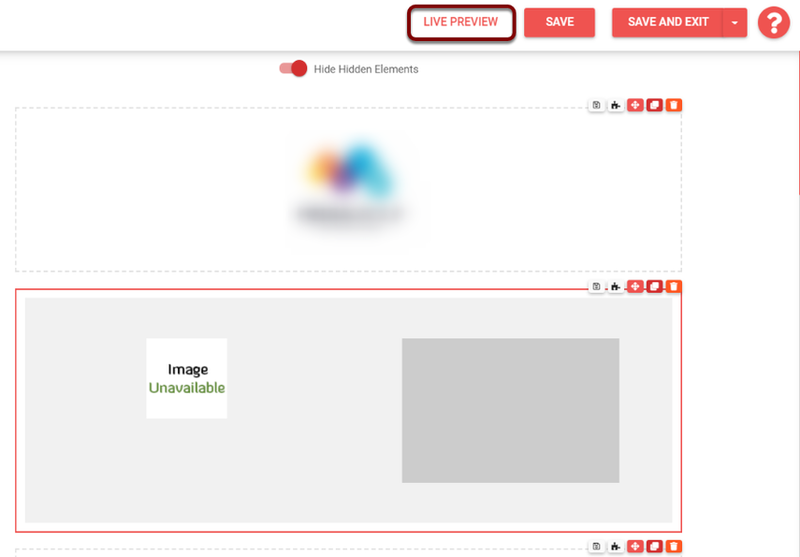 Here you can set a border width for the Media Block. 6. Here you can pick from a range of border styles. 7. Here you can set the border colour. 1. This gives you the ability to hide the selected Media Element completely, regardless if viewed on a mobile or browser. 2. This allows you to display the select element full width on a mobile. 3. This allows you to hide the select element on a mobile device. 4. You can edit the background colour of the select element as shown. 5. You can apply a border width as shown. 6. You can select a border from a range of different styles avaliable. 7. You can edit the border colour of the select element as shown. 8. You are able to round off the edge of the select Media Element. 9. Here you are able to apply padding from the edge of the select Media Element, to the content edge. To preview/play the video, click 'Live Preview'.